We have already discussed honey and its usefulness earlier, where we talked briefly and gave you a summarized introduction of Honey, if you are a new subscriber and want to read that article, please read here; Why Honey is Great for Health and Wellness. Now let us come to the health benefits of the honey or how can we use honey for different ailments, I will try to keep this topic simple, straight forward and to the point, so you can easily read and benefit from it. Honey for Anemia; As honey is rich in iron, copper and manganese, so it promotes the production of both hemoglobin and Red Blood Cells. Honey also helps in creating a balance between these vital components of the blood, so regular daily use of honey is highly recommended for anemic patients with low blood counts. Honey for Cardiac Weakness; Experts have declared honey effective for cardiac disorders like cardiac muscle weakness, angina, tachycardia and blocked veins/arteries that can result in heart failure. For such patients honey is recommended 4-5 times a day to instantly re-energize the weak heart muscles as honey is directly absorbed to the blood stream. Such patients can also take honey with few drops of lemon in half glass of warm water at midnight. Honey for Respiratory Disorders; Honey is effective for respiratory disorders like Asthma, especially one year old honey is recommended for these patients, honey can be taken alone, mixed in water or in milk, it is effective in all these forms even when asthmatic patients inhales honey or inhale from the honey jar it gives him/her instant relief that can stay for almost one hour, it is due to the fumes of alcoholic and ether oils in honey fumes. Honey for Insomnia; Two teaspoons of honey in a cup of water just before going to bed makes sure you get good sleep. It acts by relaxing nerves and muscles producing calming effect that helps in inducing sleep. Honey for Dry Cough; Honey relieves dry cough, whether the reason is the inflammation in the nostrils or throat honey will calm it down, but take it atleast 3-5 times daily mixed with water, gargles with honey water are also effective. Honey is widely used in cough syrups that also confirms its efficacy in cough. Honey for Skin Wounds; Honey was used traditionally for skin wounds hundreds of years ago especially to heal injured of wars and conflicts, this healing property of honey is still effective. Honey helps to relieve skin wounds because it has anti-inflammatory, antimicrobial and analgesic properties, it is also effective when applied to skin burns. Honey for Teeth and Gums; Honey if applied daily to teeth and gums, keeps them clean and bright, reduces inflammation of the gums also inhibits the deposition of plaque on the teeth. As it has antimicrobial properties, it keeps away bad breathe, stops the growth of bacteria and germs hence protects against inflammation and infection of the gums. Honey also cures mouth ulcers. Gargles with honey water are recommended daily. Honey for Fatigue; As honey is full of vitamins, minerals and other vital components, it is a great tonic for general fatigue, so if you feel weakness in your body at any point in your life try to make honey part of your daily diet and rejuvenate yourself. Honey for Old Age; Elderly people suffer from weakness, debility, low energy and low efficiency of organs, honey is great for elderly people, it is an instant source of energy and vitamins. Honey when added to water and boiled and drank while warm is a quick, strong and refreshing drink for the elderly. Honey for Gastric Problems; Honey is long known as a gastric tonic, it gives strength to the stomach, it is easily digested and also improves the overall digestion, it reduces the release of gastric acid so it is effective in heart burn, vomiting and dyspepsia etc. It also has mild laxative properties so cures indigestion and also detoxifies the intestines. Honey for Eye Ailments; Taking honey daily or instilling a drop directly in eye keep eyes healthy, clear, bright and also reduces the cases of infections or other eye disorders like cataract. It is often mixed with onion extract to make a very effective eye tonic that can prevent chronic eye ailments. 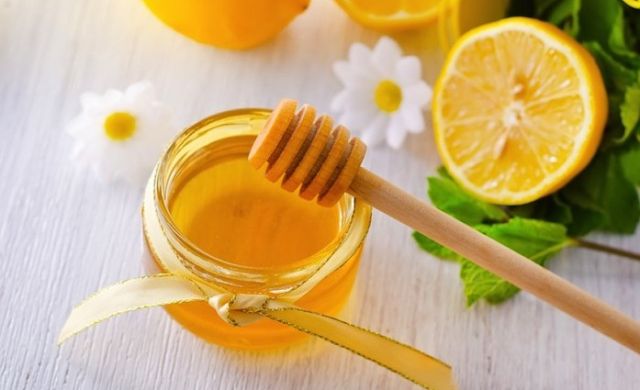 Honey for Weight Loss; A honey drink made by mixing 2 table spoons of honey with half lemon and 1 table spoon of apple cider vinegar in a cup of water is very effective for weight loss, just have this drink daily atleast 3 times in a day skipping the unnecessary snacks and you will see the results within few weeks. what do you think about propolis? i see, is it an indonesion herb? Honey no doubt reduces weight and has many benefits, a pure and natural healthy beverages, Along with honey use valentus energy drink to boost immune system.